In Albuquerque, New Mexico, prosecutors recently indicted two police officers on murder charges for their role in the shooting death of a homeless camper who was armed with knives. 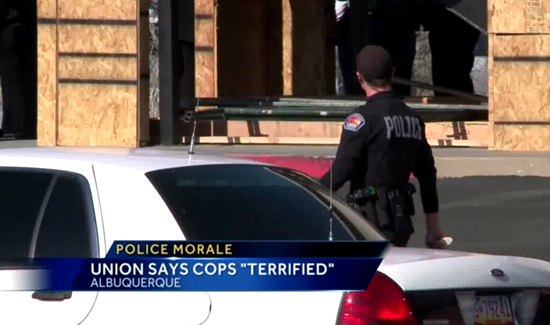 Now, according to Albuquerque’s KOAT-TV, local police association officials say that the decision to bring those charges has other area law enforcement officers too frightened to do their jobs. “They do not want to be the next one forced into this position,” Willoughby went on to say. He also said that many Albuquerque police officers are considering leaving to find work in another agency in another area. Real sad, they are to enforce the law, they do not make up the law… to meny citizens do not like any forms of authority.